The 2018 Ocular Oncogenesis and Oncology Conference will take place at the Champalimaud Centre for the Unknown from July 18th-21st in Lisbon, Portugal. 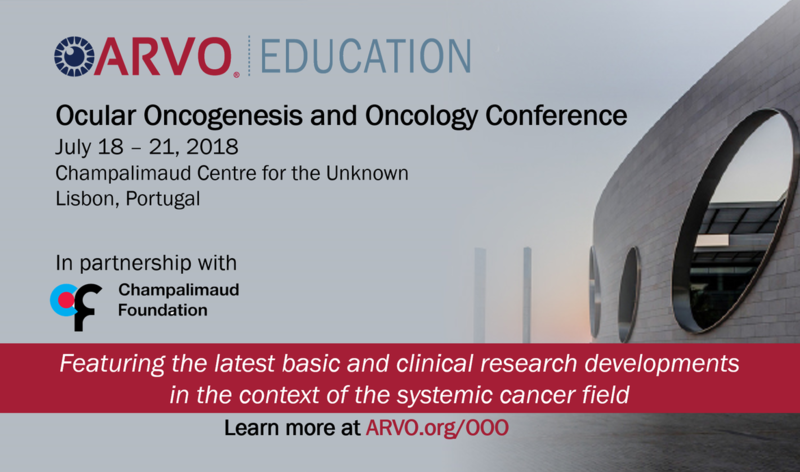 This conference — held in partnership with the Champalimaud Foundation and hosted at the Champalimaud Centre for the Unknown, its state-of-the-art treatment and research facility in Lisbon, Portugal — will cover the latest basic and clinical research developments in ocular oncogenesis and oncology, and consider them in the context of the systemic cancer field. The conference will include podium sessions, with opening and closing keynote lectures, a tour of the Champalimaud Centre for the Unknown, poster sessions and multiple opportunities for attendees to network. Speakers will be international experts in oncogenesis and oncology, from the Champalimaud Centre for the Unknown and other ophthalmic centers around the globe. Patients will be present as full participants at the conference and will have a special registration price of $50 (including meals). The UM Cure 2020 Project will organize a networking dinner for patients, patient advocates and speakers, Friday, 20th July. This dinner intends to bring patients, clinicians and researchers together in an informal meeting to give space to discussion and time for questions outside the medical office or research workbench. This will be a great opportunity to bring the OM/UM community closer. We would be very happy to count on your presence! More information, including the program and registration can be found online here. Feel free to contact us directly for help with travel and accommodation arrangements (contact@umcure2020.org).